Relationships are supposed to be built on trust and unwritten rules. That's what most people think. 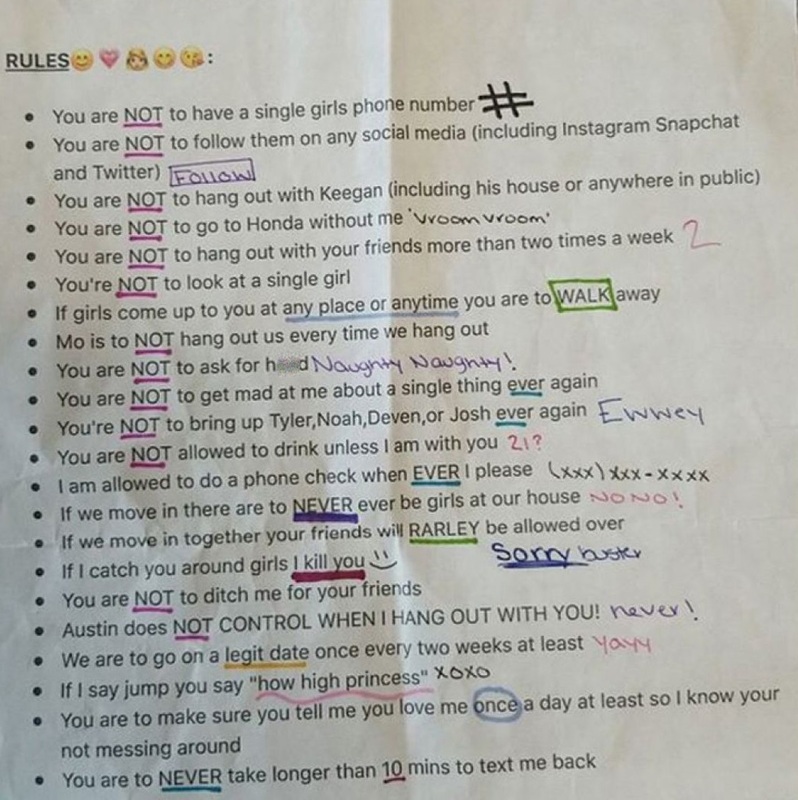 However, one woman reportedly came up with her own list of 22 DO NOT DO LIST for her boyfriend. The list which was first shared on social media by Twitter user @kkeyes96 who said he found the unusual note in a traded in car. The 'social contract' note has viral across the world and people are having their own say. If you look at the list, some have been annotated with coloured pens signifying how serious the NOTs should be taken into account. If you are a girl, will you set such rules for your man? Or as a man, would you accept such rules?